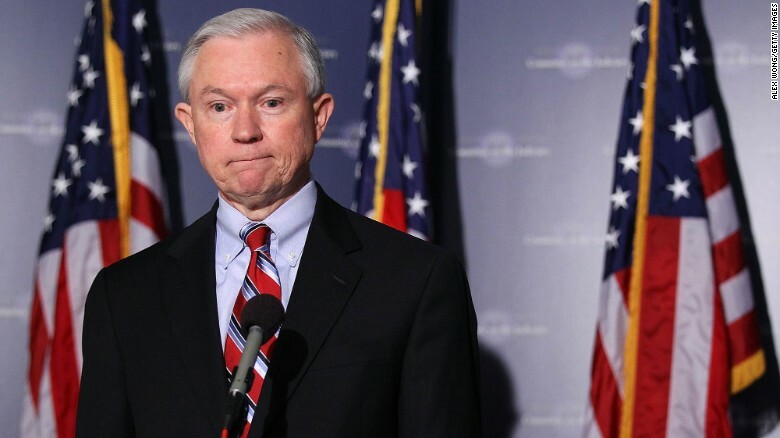 United States Attorney General Jeff Sessions will recuse himself from federal talks relating to online gambling legislation and the possibility of any “RAWA”-style legislation to be considered in Congress, according to reports emanating fromWashington, D.C. The announcement from Sessions’ office comes as foes of online gambling in the US — as always, heavily funded by the CEO of Las Vegas Sands Corp., Sheldon Adelson — have attempted a backdoor insertion of RAWA into unrelated budgetary measures for the second straight year. Sessions, one might recall, visited the topic of online gambling legalization briefly during his confirmation hearings a few months back. 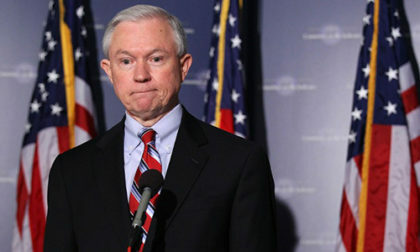 Sessions declared that he was “shocked” at the 2011 Department of Justice opinion authored by then-US Attorney General Eric Holder, in which Holder declared that the US’s 1961 Wire Act applied only to sports betting and not to other forms of gambling. The current (if possbly quite temporary} USAG promised members of Congress that “I would revisit it and I would make a decision about it based on careful study, and I haven’t gone that far to give you an opinion today.” Except Sessions now probably won’t be giving an opinion at all, due to far larger troubles on his plate. If Sessions is doing careful study on anything these days, it’s how to stay out of prison as investigators continue peeling back the layers of treasonous activity in the ongoing “Trump-Russia” affair. That’s where the conflict with the online-gambling stuff comes in. Sessions is but one of a large number of Trump Administration officials who have already retained private counsel in the face of Trump-Russia indictments widely reported to be nearing its initial prosecution stage. The attorney Jeffrey III has retained, according to Bloomberg and other international news services, is Charles Cooper. Yep, that’s the same Charles Cooper who has previously been retained by the notorious Coalition to Stop Internet Gambling (CSIG), the Adelson-funded astroturf lobbying group that’s integral both in the RAWA efforts and similar state-level interference wherever online-gambling legalization bills are being considered. Cooper disclosed his previous relationship with CSIG and Adelson in a federal disclosure filed just a couple of weeks ago, with a statement that his work with CSIG had at that time been completed. That’s still not nearly enough for Sessions to be able to tackle the RAWA thing without calls of blatant impropriety and conflict of interest, though Sessions is admittedly so conflicted and corrupt already it almost doesn’t matter. Sessions, for those not truly aware of his background, was essentially pulled off America’s political scrapheap and installed as US Attorney General despite his’ highly questionable background. He was denied a federal judgeship a couple of decades back due to widespred accusations of overt racism, though he succeeded in being elected both Attorney General and US Senator for his home state of Alabama — which, frankly stated, is one of the US’s most conservative and racist states. Yet that’s not why Sessions is in such water this time. Evidence continues to mount that he lied repeatedly under oath, denying that he’d had contact with Russian officials in connection with the larger “hacking” of the 2016 US general election. It now appears that Sessions met on at least three different occasions with Russian officials, and he may well have violated national disclosure laws regarding those contacts. One can see why the online-gambling stuff might take second fiddle to the possibility of a jail cell for ol’ Beauregard III. Meanwhile, with the Sessions channel more or less out of commission, Adelson has chosen to funnel his anti-online gambling funding into other fronts, from the backdoor RAWA legislation to a renewed lobbying effort aimed at stymying Pennsylvania’s state-level legalization efforts.